If the first series of the second half is any indication, the Orioles’ abysmal 2018 season is going to get worse before it gets better. The Orioles kicked off their post-All-Star slate by getting swept in Toronto, reaching the 100-game mark with a 28-72 record. All the Orioles’ usual ways of losing were sprinkled throughout the series — if it wasn’t ineffective starting pitching or an unproductive offense that did them in, it was atrocious defense or a bullpen meltdown. The Orioles, at least, took a step in the right direction during the All-Star break, officially kicking off their organizational rebuild by trading Manny Machado to the Los Angeles Dodgers for prospects. Still, they have 62 more games remaining in 2018, and things could get extremely ugly. The Orioles are on pace for 117 losses, which would tie for the fourth-most in major league history. How did the Orioles’ 2018 season turn into such a disaster? There’s no single answer to that question, but rather a slew of factors, most of which can be traced back several years. Let’s look at a few. Good stuff here Mr. Folkemer. You’re proving to be more than just a numbers man .. Hah! Hard to disagree with anything you said, but I feel you understate the obvious when you call Crush’s contract “ONE OF the biggest albatrosses in baseball”. I think it’s safe to say that it is “THE” biggest albatross in baseball. I believe it’s all due to the bad juju created by the “Chris Davis and His Dog Samson Superhero” bobblehead night from 2017. With no end in sight, I believe the Curse of the Bobblehead is likely to continue until Crush is exorcised from the team. I would suggest management send a message to it’s fans and players by starting right there. The one saving grace — and I use the term loosely — of Davis’s contract is that much of it is deferred, which means he’s not eating up too much of the payroll in any given season. (Of course, on the flip side, that means they’ll continue paying him well after his retirement.) So as horrible as his contract is, it shouldn’t prevent the Orioles from spending money elsewhere. I hope it’s not a Bobby Bonilla type deferment of money….I think the Mets are STILL paying him and he hasn’t played for them for what, like 20 years? It’s pretty awful watching this team but part of me thinks maybe it’s for the best. If they hadn’t crashed this hard, maybe the people running the team (whoever they are!) still would think they could put a few band aids on the team and continue to contend. Yup, we definitely saw that play out from 1998-2011, when the O’s were bad every year but never quite embarrassing enough for the front office to commit to a rebuild (except the botched Syd Thrift fire sale in 2000). This year, the O’s have removed all doubt. How did it come to this?? Hmmmmmm……. Front office that should be north of the border, $23 mil/yr for 200 K’s and .150 BA, team BA around.240, not so good defense, awful numbers from bullpen, a few injuries, Ubaldo’s 4/yr $50mil replacement (2-13). Gonna be a frustrating few years ahead! Put Buck in an office and Dempsey in the dugout and let’s rebuild!!! I tend to think the Orioles should start fresh with an entirely new front office and coaching staff from outside the organization. I don’t think Buck in the FO and Dempsey in the dugout would be the change this team needs. Yeah, it’s easy to think a familiar face from the good old days will make a difference, but that doesn’t work out all that often. Have to ask about your last paragraph of the entire post. How should fans feel about John and Lou taking over the reigns for Peter? What makes them different as opposed to PeterA and PeterB? Because the way that math stacks up, the too-many-cooks-in-the-kitchen problem just got even worse. The jury is definitely still out, in my mind. I will say that I’ve been encouraged by some of the recent developments like Kids Cheer Free, Brooks’ return and the announcement that international/scouting/analytics will be emphasized moving forward. But it’s way too early to have much of a sense for whether things will truly be different/better/worse in the long run. So far I like what I’ve seen from John and Lou — their commitment to a rebuild, their promise to start spending on international amateurs, plus the things Steve mentioned. They look like they’re ready to do things differently than their father did. And this offseason hopefully they’ll be able to sort out the front office clutter by making decisions on Duquette and Showalter’s futures. You forgot one thing Paul: beards. Since ancient times, the Orioles have had a grooming policy in place, insisting they appear as professionals and not succumb to the hipster beard fashion trend. Then in 2018, Alex Cobb and Andrew Cashner are allowed to wear beards for some reason and and “BAM” worst team in baseball. Isn’t it obvious that only Rick Sutcliffe can be both bearded and an Oriole at the same time? Stop this madness. Send some Barbasol and a few Mach 3s down to the clubhouse and lets get this train back on track. Finally a voice of reason around here! Funny that a guy with “moustache” in his name is so anti-facial hair! Just beards and just on the Orioles, which you can clearly see from the results this season. Moustaches, which have adorned the upper lips of such giants as Sheets, Lowenstein and Grich, would be a welcome change of pace harkening back to the 70’s and 80’s, when men were men. You left out the real reason why the Orioles won in the late 70s-early 80s, and that’s the amazing facial hair of Eddie Murray. Don “Full Pack” Stanhouse had a ‘stache to rival any! Maybe a pack of cigs to get through the 9th inning, but no grooming policy. I’m pretty sure that no facial hair policy was a Yankee invention brought to the Orioles by Lee Mazzilli. I didn’t have room to fit everything, but yeah, the Rule 5 thing is a big one, too. I think part of the reason the O’s have been so active in the Rule 5 draft is because it was one of the few ways to try to acquire young talent, since ownership wouldn’t allow them to sign international amateurs. Obviously, it hasn’t worked well. Get rid of Dan! He’s useless! I’ve been reading today that Bundy, Gausman and Schoop are all gaining talk and drawing interest from multiple teams. I wanna think these guys should be kept to have a nucleus to build around. Sheesh my head hurts trying to figure this out….. Absolutely dead on analysis. And the comments are also insightful but overthought. The fact that the Orioles have been, are and will continue to be a bad team comes down to one simple thing: bad ownership. Each of the interrelated factors you identified, one way or another, have been caused by that bad, overbearing ownership that makes clear thinking and confident decision making impossible. It’s toxic. The transfer from PGA to Lou and John won’t change a thing. Putting aside the abject incompetence, the fundamental reason why this organization inexorably fails comes down to one true and essential thing: These people don’t care about baseball. They never played as children. They never went to a game before they got rich. It is not in their hearts. Status, money, being idolized by their sycophants and hangers on- those things are important, but not baseball. 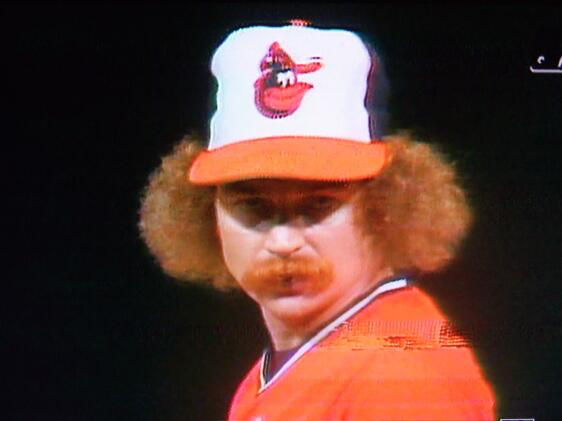 If you swapped out the Orioles for a bunch of McDonalds franchise, you’d get the same level of attention and passion (and competence) from the Angeloses. You can’t change heart. And until there is a change of ownership, considering what’s wrong with the Orioles amounts to no more than idle navel gazing. Everything Dan Duquette said last week was spot on. Will he be given the chance to implement the plans? Could get interfering. Duquette made his comments about how the Orioles were going to change things moving forward, but there is scant evidence to think they would make such major changes when they have resisted doing so for so long. Here’s one no-brainier they haven’t embraced at all if news reports are to be trusted: Schoop has not been offered any sort of extension yet. Why not? He is starting to hit again which suggests the first part of the season was just a slump and not an indication he is about to “go Chris Davis” on the Orioles. Why not offer a five year extension past 2019? That would give a solid piece to build upon, and it would keep him here during his prime years. If the Orioles got their heads straight they could even make a Schoop extension part of a run at Machado-their friendship is common knowledge. I still don’t understand why they were unwilling to increase the payroll by the 8% it would take to land Manny long-term. What the franchise needs is new ownership, period, and new blood top to bottom. Showalter has to go, his “game management” is horrendous and his ability to constantly blow up a bullpen has reached new heights. He should have been fired the day after he let the best pitcher in baseball sit in the pen while Ubaldo got to blow a game. I wish there was a local ownership group that included somebody like Ripken who might inject some logic and common sense into any plans for righting the ship, but I doubt the Angelos family would part with their cash cow.